News last month that the Golden Globes inexplicably placed "Get Out" for consideration in its Best Motion Picture, Musical or Comedy category spurred the film's writer-director Jordan Peele to launch a pointed tweet. His searing racial drama, wrapped in an old-school chiller-thriller where the occasional laughs only underscore a larger societal tragedy, “is a documentary,” he wrote. The Golden Globes horror show didn't end there: Golden Globes voters failed Monday to nominate Peele in the best director and screenplay categories (the film did notch a musical/comedy nod, while star Daniel Kaluuya landed in the best actor category for musical/comedy). Meanwhile, two other worthy breakout films that triumphed on different scales – "Wonder Woman" and "The Big Sick" – were snubbed altogether. The exclusions underscored that Globes voters, when faced with quality, popular films that defy easy categorization, just don't get it. That the slighted films’ stars and creative teams prominently include men of color and women only compound perceptions that Globe voters live on another planet. The Globes, marking its upcoming 75th anniversary with the Jan. 7 awards ceremony on NBC, has long been Oscar's quirky stepsibling. But the Globes’ profile has risen in recent years, thanks, in part, to high-profile hosting performances by the likes of Ricky Gervais, Tina Fey and Amy Poehler, and Jimmy Fallon. The winners’ list also increasingly has become a bellwether of the Academy Awards, even amid bizarre moves like placing “The Martian” in the musical/comedy grouping a couple years ago and nominating “The Tourist,” a dud of a supposed thriller, in that category in 2010. This year, Globes voters from the Hollywood Foreign Press Association somehow ignored summer box office champ "Wonder Women," which soared above the superhero genre as it resonated with multiple generations of fangirls. 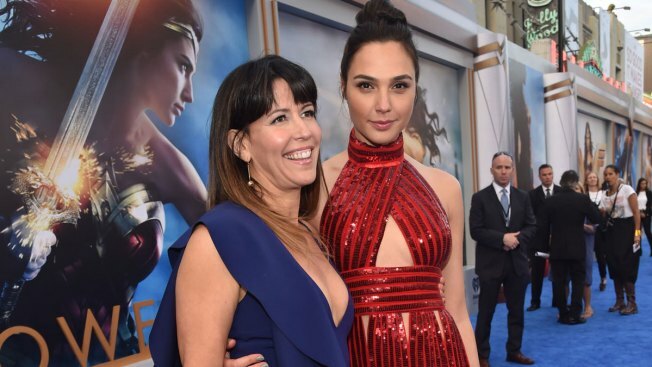 Director Patty Jenkins and star Gal Gadot turned out the best DC flick in nearly a decade with a film by turns smart, funny and action-filled. "Get Out," in which a young black man's introduction to his girlfriend's white, limousine-liberal parents quickly goes from "Guess Who's Coming to Dinner" to "Night of the Living Dead," delivers an allegory for our times without skimping on the entertainment for a second. Peele packs so much into one hour and 44 minutes, the film is worth repeated viewings. Perhaps Oscar voters might want to take another look at "Get Out," "Wonder Woman" and "The Big Sick" before the Academy Award nominations are announced next month. Otherwise, the documentary yet to be made about this awards season will center on how Hollywood proved itself out of touch yet again.